When it comes to business and home security systems, there are plenty of different options available to you. In fact, at SSH Fire and Security, we pride ourselves on offering one of the largest ranges of home security solutions in the UK, and we create a unique security system for each and every customer. 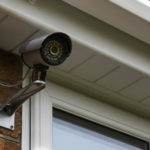 However, if you’re serious about keeping your home or business protected, then we recommend you go one step further than just fitting a camera and security alarm. Instead, you may want to consider a monitored system, to give you extra peace of mind that someone is watching over your property. It’s certainly true that unmonitored alarm systems do offer some level of protection against intruders. The loud noise from these home alarm systems will usually scare off all but the most determined of burglars, and lets other people know that there’s a problem on your property. However, the downside of unmonitored home alarm systems lies in the fact that you’re entirely dependent on your neighbours to call for help if you’re not there. What if they are away, or if your system keeps suffering from false alarms? In that case, your home security is effectively worthless. Instead, a monitored home alarm system gives you peace of mind that there’s always a professional there to act fast- and here five more reasons why our home security systems really outshine the competition. By far the biggest advantage of monitored alarm systems is that they allow the police to act fast in the event of a break-in. Since someone is always keeping a close eye on your home security, the proper authorities can be on their way as soon as an intruder is spotted. Some monitored alarm systems even link up with the police’s own monitoring systems, so that the feed can instantly be transferred to them. Not just anyone can install a home alarm system that provides police response, though. Only those with an NSI Gold rating or SSAIB accreditation can fit this sort of home security tech- but luckily for you, SSH Fire and Security meets both of these requirements. 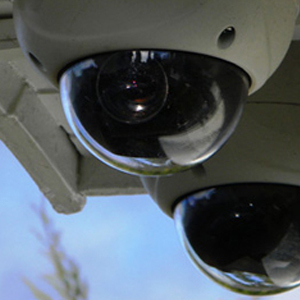 We work closely with multiple police forces to provide the very best protection for homes and businesses alike, so you can really rely on our security systems. At SSH Fire and Security, we offer an unparalleled range of home security solutions- meaning our monitored alarm systems can incorporate a huge range of different optional extras. As we mentioned earlier, many criminals will be scared off by the sound of a home alarm system alone. On the other hand, it’s a lot scarier for thieves to suddenly hear a voice addressing them directly from your home alarm system, and warning them to stay away. How is that possible? Well, we’re able to fit home alarm systems with an intercom function, so that our monitoring team can just press a button and have their voices booming out of a speaker. 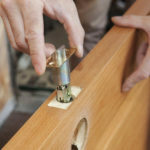 Even dedicated burglars will think twice when confronted by this feature in your home security, making it a great way to make your property even more secure. Often, would-be thieves will stake out potential targets for a lengthy period of time before deciding to strike. By taking note of when the property is deserted, and examining your home alarm system for any flaws or blind spots, they can plan out their burglary to avoid being caught. Since they are watching from a distance, unmonitored home security systems won’t catch them out, as they will only get close when they are ready to break in. On the other hand, a monitored alarm system brings the benefit of a human pair of eyes. Our team of professionals will quickly be able to spot if someone near your property is acting suspiciously and pass that information on to the police. While it probably won’t lead to an arrest, it will warn the potential burglar that someone has their eye on them through a monitored alarm system- making them less likely to go ahead with their plans as a result. Stopping criminals isn’t the only reason why a monitored alarm system is a smart choice. A home alarm system can also be extremely useful in the event of a fire. 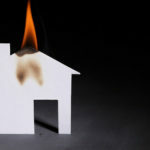 Often, the first sign of a fire in an unoccupied property is smoke billowing out of it- by which time the fire is typically already blazing out of control. However, if someone is already keeping an eye on your home or business, then they will be able to alert the fire brigade the moment they spot anything amiss. That way, any fires can be dealt with before they spread further, to limit the damage they can cause. As you can see, home security is about more than just criminals! While we also fit a wide range of fire alarm systems, for even greater protection against fires in your home or business. Our technicians will be happy to talk you through your fire alarm options at the same time as a monitored alarm system survey and offer you an incredibly competitive quote to meet all your fire safety requirements. Insurance companies love policyholders who take active steps to reduce the risk of burglary. After all, they don’t want to pay out if possible, so by fitting a monitored alarm system, you will be making this less likely to happen. As a result, it may well be the case that they can cut your insurance premiums accordingly. This makes our monitored alarm systems even more cost effective- so there’s no reason not to get one installed! As you can see, there are so many reasons why monitored alarm systems are the ideal choice for any home or business. They offer the maximum amount of protection, and the extra cost is offset by the additional peace of mind that they will bring. Don’t count on your neighbours to respond to alarms- instead, let the experts at SSH Fire and Security take care of everything for you. From our dedicated monitoring centre, we will keep a watchful eye over your property, and respond instantly to any suspicious activities. To show you what we have to offer, and help you choose the perfect solution for your business or home security, we’re delighted to offer a free, no-obligation survey at a time that suits you. Just call us on 0808 164 0280, and let SSH Fire and Security keep your property covered day and night!